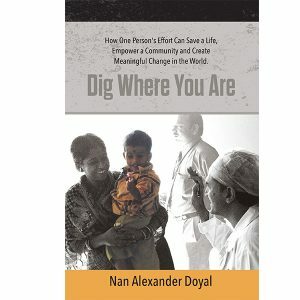 In 2008 Nan Alexander Doyal left her corporate career to spend time with ordinary men and women who were solving some of the biggest challenges facing our societies today. From the slums of Mumbai, the villages of Tibet and northeast Thailand, the inner cities of Philadelphia and San Francisco, and a ghetto outside Stockholm, she shares stories of seven people. These people have used what they know to make something better, and quite unexpectedly ended up transforming lives and communities across the world. Though they are from different cultures, disciplines and socioeconomic backgrounds they share some surprising things in common. Nan Alexander Doyal has lived and worked in America, Europe and Asia for more than three decades. 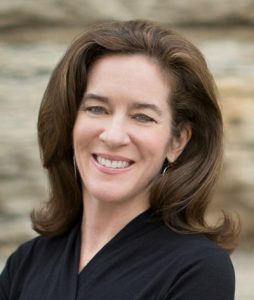 Most recently she has served as President of The International Forum – an organization that creates hands-on learning experiences for the leaders of global corporations. For more than ten years Nan led this effort and its network worldwide creating programs in Japan, China, India, Thailand, Poland, Czech Republic, Sweden, Belgium and the United States. Prior to this, she worked at Ameritech Corporation in Chicago, Illinois; American Express Travel Related Services Co. Inc. in New York; Shiseido Co. Ltd. in Tokyo, Japan and RBC Dominion Securities, in Toronto, Canada. She is a graduate of Smith College and The Wharton School at the University of Pennsylvania. Nan is the daughter of Boca Grande residents, Judy and Michael Alexander.